You'll be £12.00 closer to your next £10.00 credit when you purchase ShipCraft 15: Queen Elizabeth Class Battleships. What's this? The 'ShipCraft' series provides in-depth information about building and modifying model kits of famous warship types. Lavishly illustrated, each book takes the modeller through a brief history of the subject class, highlighting differences between sister-ships and changes in their appearance over their careers. This includes paint schemes and camouflage, featuring colour profiles and highly detailed line drawings and scale plans. The modelling section reviews the strengths and weaknesses of available kits, lists commercial accessory sets for super-detailing of the ships, and provides hints on modifying and improving the basic kit. This is followed by an extensive photographic survey of selected high-quality models in a variety of scales, and the book concludes with a section on research references - books, monographs, large-scale plans and relevant websites. 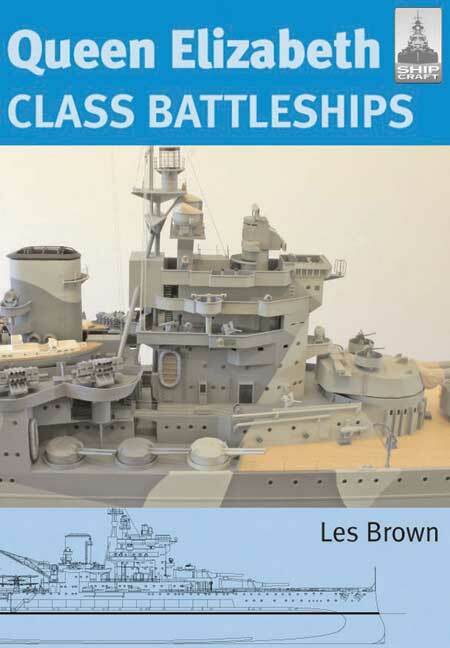 LES BROWN is a leading light in the Small Ships Group of the International Plastic Modellers Society and the editor of their Newsletter. His previous contributions to this series are Flower Class Corvettes and British Destroyers. This is a very well-produced book that looks very useful for any ship modellers.